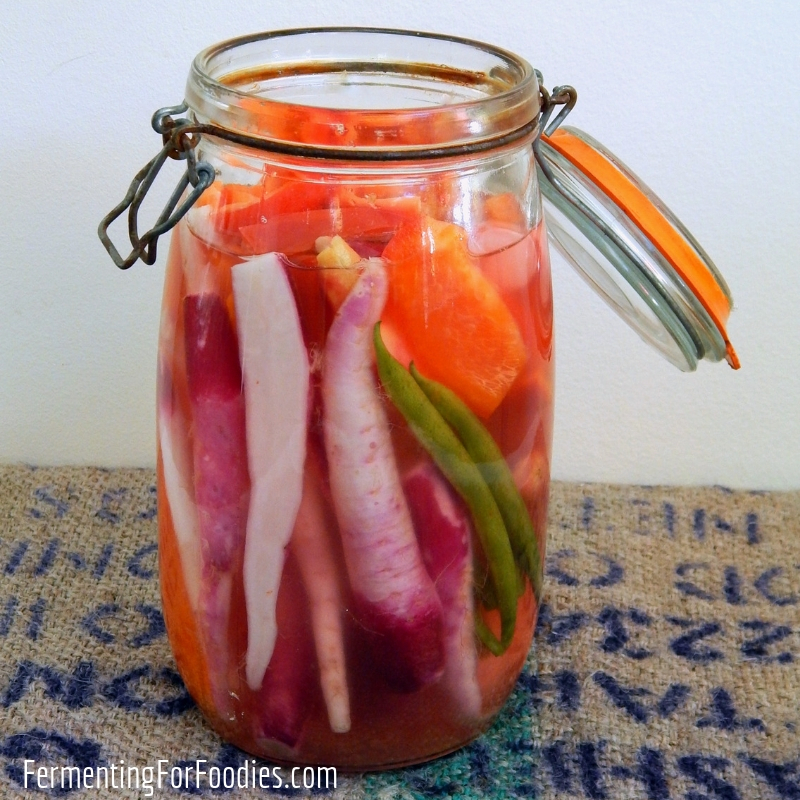 Fermented snacking vegetables are the one thing that I always have bubbling away on my kitchen counters. I love them for so many reasons. 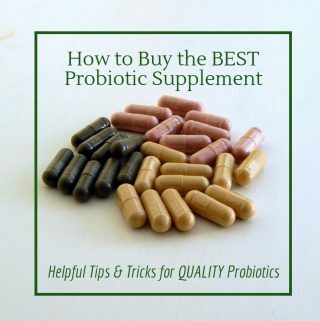 It’s a great way to make sure that I’m getting my daily dose of probiotics. They are hugely flavourful and perfect to eat without any dips or sauces. It allows me to “process” my vegetable box ahead of time so that nothing goes off before we get a chance to eat it. 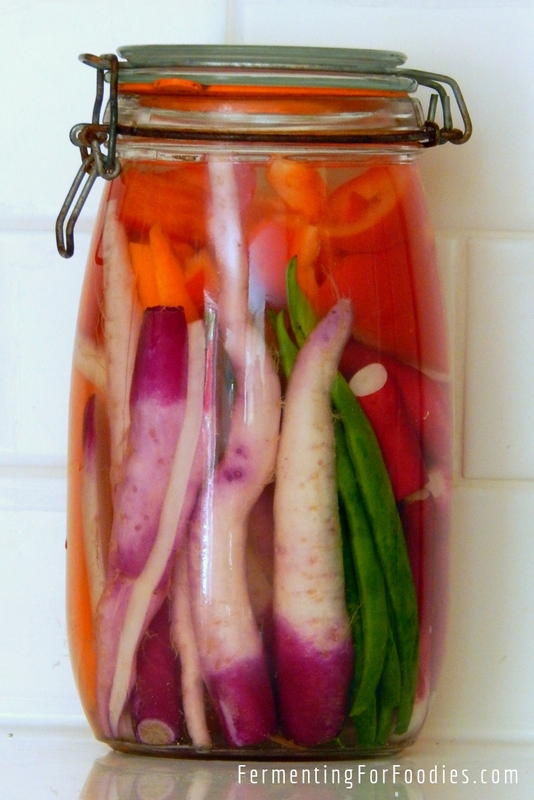 But the main reason why I always have fermented snacking vegetables kicking around is because I’m lazy. 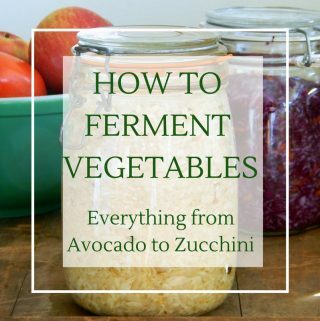 I know that seems backwards, how could anyone who is devoted to fermenting be lazy? But… at 6:30 in the morning when I’m scrambling to fill my kids lunch boxes, it is so awesome to have already prepared vegetables in the fridge ready to dump into the lineup of waiting snack containers. 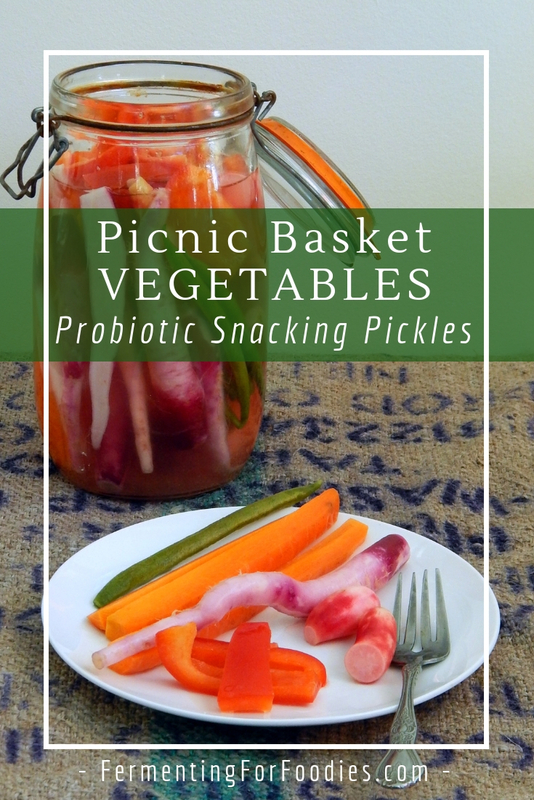 Or when we all get home at the end of a busy day and we’re starving for something to eat, I can always reach for my jar of snacking vegetables in the fridge! Wash and cut the vegetables into sticks. Pack the vegetables into the jar making sure that they are 1" below the top. Add in the salt and any additional flavours that you're using. Then cover with the filtered water. Allow to ferment somewhere cool (around 18C is best). After 2-3 days the vegetables will have developed a nice flavour, while still remaining crisp. I recommend using: carrots, beets, radishes, kohlrabi, green beans, sweet peas and cauliflower. Though cauliflower will become a bit smelly, so it isn’t the best for school lunches. Flavour additions: you can add herbs or spices to your fermenting vegetables. In general you want 1 tsp of a spice or 1 tbsp of a herb per jar. My favourite flavours are garlic & dill for a traditional pickle flavour, or garlic & ginger for something tangier.